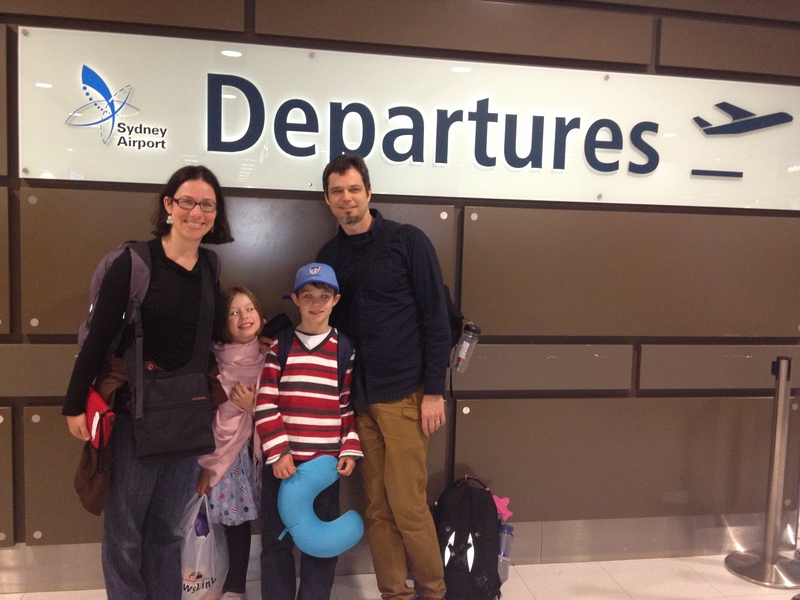 365 days ago we untethered ourselves from life in Australia and took a leap of faith into the unknown. We boarded a plane that carried the four of us across continents and oceans. The only known was that we would spend a year living in Granada, Spain. The remaining pieces of the journey were a mystery and required us to surrender to whatever came our way. None of us had ever been to Granada previously so we had to trust our decision-making process that consisted of a bit of research, gut instinct and a large portion of luck. We were full of hope and excitement for whatever awaited us. Today, 365 days later, as the train pulls out of Granada station and we bid farewell to a wonderful life and community in Spain, all those unknowns have now been lived. What an incredible year this has been! All too often the unknown, ‘the other’, ‘out there’ can seem frightening or inspire comparisons of better or worse or just too different. The experience of this year has shown us that there is little to fear ‘out there’ just lots to be learned and gained. We have found exceptional people and places everywhere we have been. Reflecting back on this year one of the most outstanding elements has been the diversity and kindness of people. There were our family and friends in France, Switzerland, Hungary and Finland who welcomed us and shared stories of our families’ history and identity; the Berber villagers in Morocco who guided us through the Atlas mountains and fed us tagines; our friends in Israel who included us at their Seder and Shabbat tables and showed us their ancient land; the friendly strangers in Italy who showered our children with food, gifts and attention. And of course our wonderful new friends and community in Granada who guided and supported us in the Spanish way of life. Every person has been exceptional in their own way and we are eternally grateful. Granada is a small city surrounded by much natural beauty and history. It has mountains, rivers, lakes and is relatively close to the Mediterranean beaches, as well as many historical cities (Cordoba, Ubeda, Baeza, Sevilla, Cadiz) and let’s not forget the famous Alhambra Palace. Living in Granada provided many opportunities to explore beyond the city limits and travel throughout Europe. In addition, certain activities that are difficult to do in Sydney became very accessible in Granada. My daughter and I were able to go horse riding regularly with little effort or cost compared to home. We could go for hikes in the mountains directly from our house without having to drive anywhere. Skiing in winter was just a 40-minute drive away and adventure abseiling, mountain biking etc.. were also very accessible. Arts and cultural events were also numerous and affordable and rarely did events sell out like they consistently do in Sydney. No need to buy tickets in advance or queue, just turn up on the day for the various theatre, dance, music and arts events and enjoy great performances. The history and culture that is maintained with passion in Southern Spain was eye opening for us coming from such a young country as Australia. Every few weeks there was a procession or festival to mark another Saint or holy day. There was never a shortage of participants or spectators with young and old and in between filling the streets time and time again. The commitment to celebrating these cultural rituals is very strong in Granada and is a memory we will take back to Australia. Our kids did complain that there weren’t more entertainment options like at home but that was an important adjustment to make, to wean them off big-city entertainment and help them become more creative by transforming their boredom. 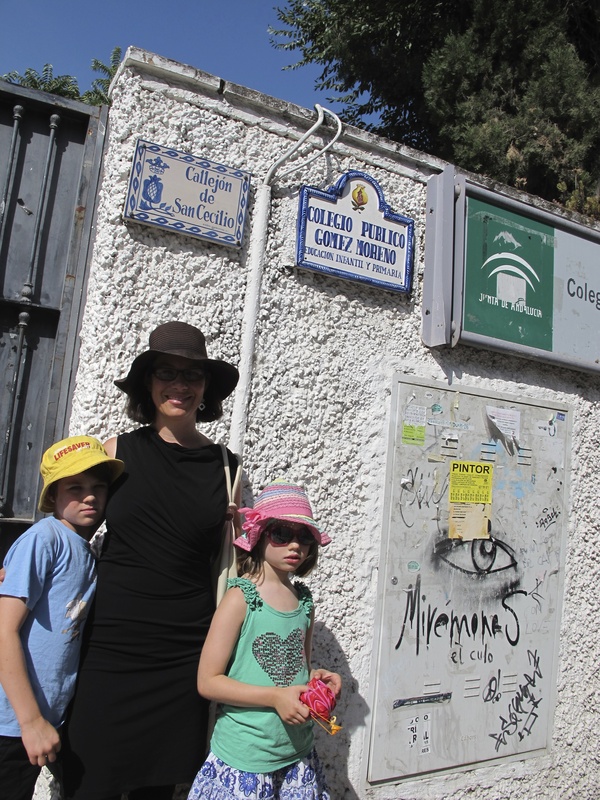 In our little Albaicin neighbourhood of Granada, we had the opportunity to integrate into a vibrant and diverse community that welcomed us with open arms from the very beginning. 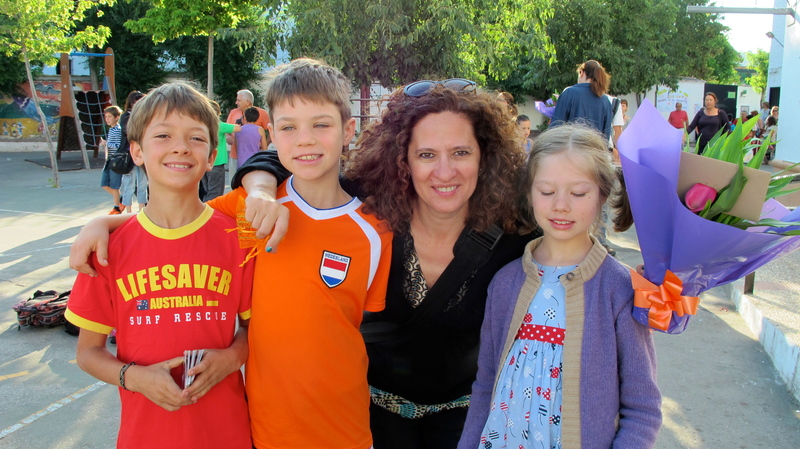 Through our neighbours, families from our children’s school, our son’s tennis and soccer teams as well as my language school, we were gently guided through the vicissitudes of Spanish life and culture. 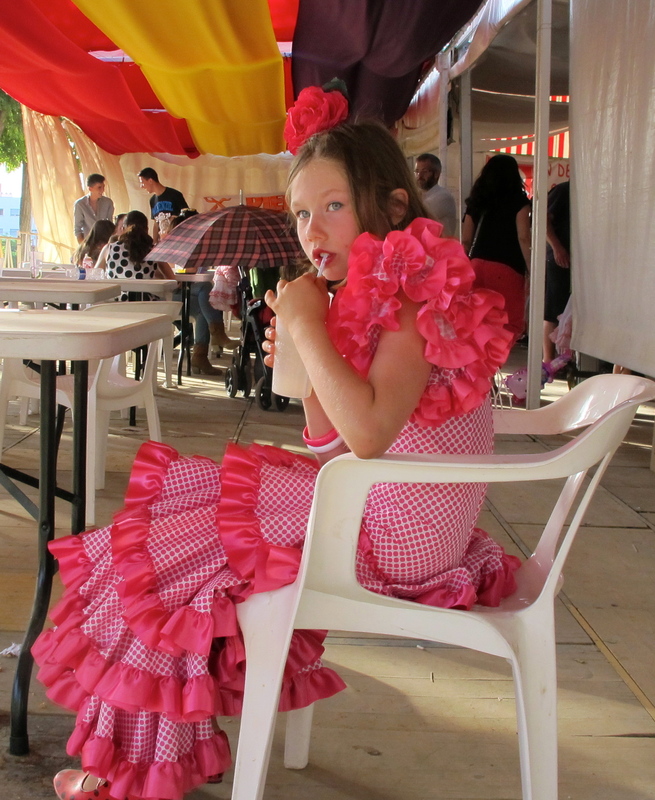 Many of the people in our neighbourhood are Spaniards married to foreigners so they had an empathetic ear however we also knew several proud Granadino families who go back generations and were excited to share their culture with us. 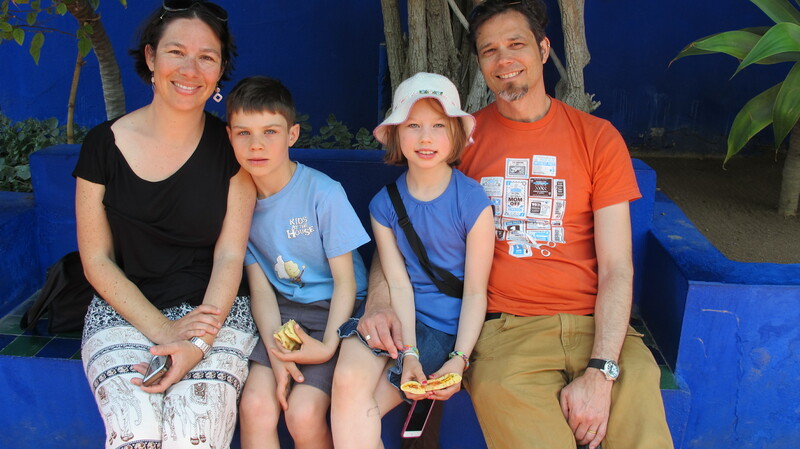 Although initially there was a lot of hard work for the children and I to improve our Spanish before we could thoroughly enjoy the life in Granada, we knew we were supported by people who were happy to speak to us in English when we really needed it. Through the initial hardships and subsequent rewards and achievements, I can see how our children have grown in confidence and have opened their eyes beyond the world they had known. Particularly in the last months I derived such pleasure watching our children playing, laughing, taking risks and blabbing away with their friends in fluent Spanish. 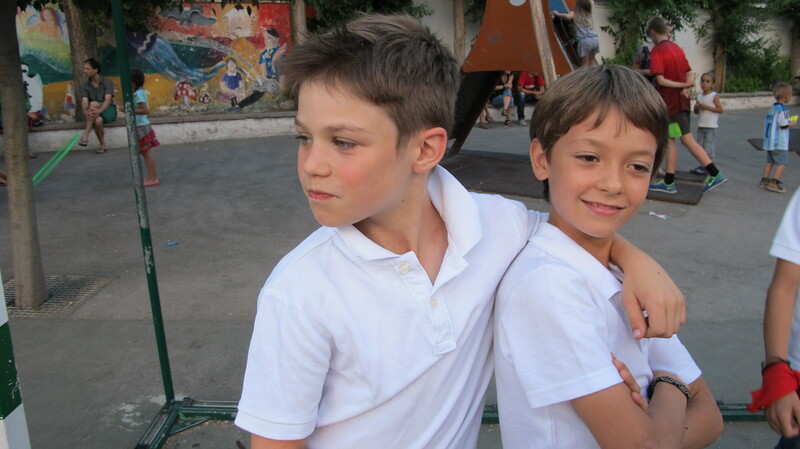 They have become well versed in European history and have learned so much at school. I am proud of how they adjusted to and accepted their new environment and culture as if it was a just another usual occurrence. Even when there were sad days not once did either of them say they wanted to go back to Australia. They just accepted this is what we were doing. And so after a year of new and wondrous experiences, we bid farewell to our second home in Granada to begin the journey back to our other home in Sydney. We have three weeks of adventure and travel remaining before transitioning back to life as we knew it…but will it be the same? or more to the point…are we the same people? It was a privilege and a pleasure to share the last week of the family in Granada.Lots of warm farewells , invitations to country houses with hospitality to be a memorable experience,meeting friends,families and seeing our grandchildren speak fluent Spanish to their friends and translating for us when needed.We adopted to Spanish way of life by staying up till 2am on occasions and having our dinner around 10pm.Now spending 6 days with our family on our way to Lisbon for a sad farewell till we all reunite as a family in mid August .In the meantime we need a well earned rest. Well done all of you! Coming home will probably be so bitter sweet but you all seem to have learnt a great deal about Spain and all aspects of life.Special congratulations to you Bianca for documenting the whole journey with so much feeling. I will miss wondering what thoughtful anecdote you will present next. Have thoroughly enjoyed following your family’s travels and have learned so much from your observant eye. Many thanks! Our family has decided to move to Madrid and the children have been accepted to a school there and, like you and Granada, we have decided upon a city without having been there first! We are waiting for our visas and hope to arrive sometime in August. We may head straight to Granada and enroll in the fabulous language school you mention, for a month or so of immersion into the language and culture before starting our life in Madrid. We will see. Take good care and thank you, Bianca, for your time and help with my various questions. You certainly have had an impact on our decision-making process and both my husband and I are grateful. Hi Courtney! Thanks for following our year and I wish you lots of good times for your adventure in Spain!! Oh Sam! We have been back just 3 days and my head and heart are spinning. Who knew the transition back would be so hard. The kids are like ducks to water and ecstatic to be back however it’s been far more challenging for me. Blog post about it all to come soon. I am still processing it all!! Thanks for your support Viv! Thanks so much for sharing your Spanish adventure. I have thoroughly enjoyed reading your blog – you write beautifully. One of the wonderful things about travel is when you return home you see your own life through different eyes and discover new found appreciation for what you left behind. Enjoy settling back into Australian life. Thanks for your kind words Kristy! We are trying to settle back home but it is still early days and quite a lot still to process! Hello the “Australian, Finnish, Hungarian, Spanish ….” family !! We are in our last travelling week and then we’ll take time toread you story. And, why not, see you again, somewhere on the planet ! Enjoy your final 5 days on the road! What a delight to meet you and your family in Thailand. Quite amazing that we were both at the end of our year away in each other’s countries/continents. We will be thinking of you on 20th July and beyond as you transition back to your French life….it has been a HUGE transition for us getting back to our life in Australia. All the very best! Enjoy your French pastries, yoghurts, cheeses and coquilles san Jaques!!! Thanks, the delight was also for us despite the malediction for the soccer team !!! Hope to read you again !! Hi there, Great to hear of another family smashing down the walls of convention! The world stays the same yet we see it all through new eyes. That’s what 365 days does I reckon! Thanks John! Yes it is a wonderful path. Hope you are enjoying your adventure. Just revisiting some old blog posts and saw your comment and just realized that I read your book last year and loved it! How did you settle back after your amazing year? I couldn’t put your book down and read it in a few days! Congrats! I am not sure if settling down is ever possible again. I like to think of our house now as base camp for future adventures, as we write, travel, home exchange, and pick off bucket list destinations, like a month in Vietnam recently. Returning to Spain is always a nice thought too.